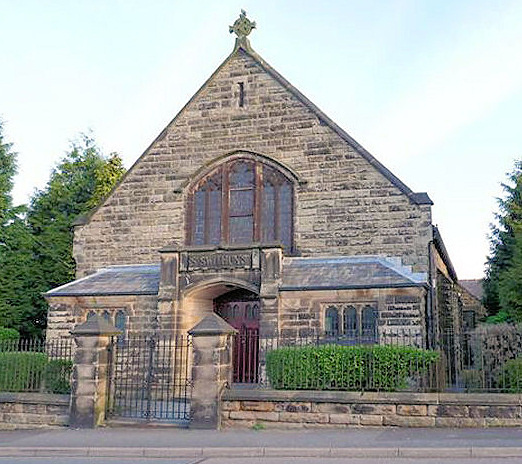 St. Swithins was erected by Elizabeth Jane Hanson, in 1912, for her husband Isaac Hanson. "In the hope that it may prove a blessing to the people of Cow Hill." There is a page dedicated to Saint Swithun's Church here. Nora BRADLEY Apr 20 1974. Annie GREATOREX Jul 4 1923. Beatrice Mary GREATOREX Sept 3 1931. To the glory of God and in memory of the men of this district who fell gloriously. Also to those who served their Country in the Great War of 1914 - 1919.
in World War II 1939 - 1945.